THREE icons of British steam will meet for the first time when Barrow Hill Roundhouse celebrates its grand reopening on September 21-24. To mark its relaunch after a £1.2million restoration, the unique Midland Railway roundhouse will host Gresley ‘A3’ No. 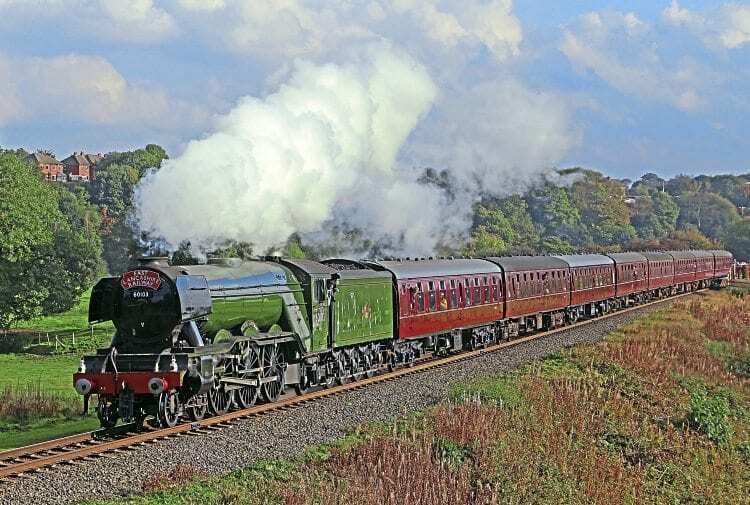 60103 Flying Scotsman, new-build Peppercorn ‘A1’ No. 60163 Tornado and the NRM’s replica of Stephenson’s Rocket. The gathering is the centrepiece of a four-day event celebrating the completion of a comprehensive, but sympathetic, restoration of the Grade II-listed roundhouse, made possible by a Heritage Lottery Fund (HLF) grant. September 21 will see the premiere of a specially commissioned play celebrating the incredible survival story of the Roundhouse, with live steam adding an exciting backdrop. The play will continue on the evenings of September 22-23. Next Post:RIDE WITH THE RM – Double-headed Class 50s to Glasgow!